Alfa Laval – a world leader in heat transfer, centrifugal separation and fluid handling – has signed a service agreement for scrubbers with a leading Chinese shipping company. The agreement follows in the wake of a scrubber order for 31 vessels, which the same customer placed last year. 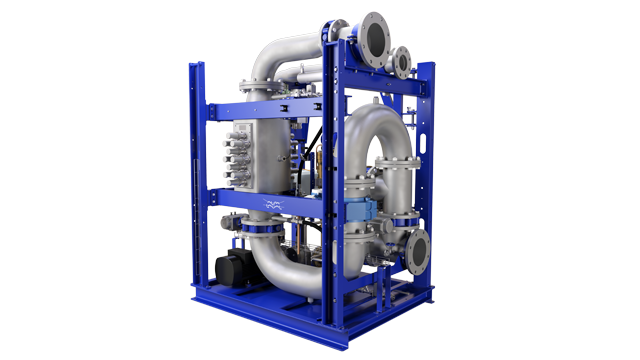 The original order was for Alfa Laval’s PureSOx open-loop, hybrid-ready scrubber systems to be installed on some of the largest vessels in the world. This year, the customer followed up by also signing a service agreement to safeguard and optimize its long-term scrubber operation. The background: The International Maritime Organization (IMO) has set a global limit for sulphur in fuel oil used on board ships of 0.50% m/m (mass by mass) from January 1, 2020. Ships can meet the requirement by using low-sulphur compliant fuel oil or by using approved equivalent methods, such as exhaust gas cleaning systems or “scrubbers”, which “clean” the emissions before they are released into the atmosphere.